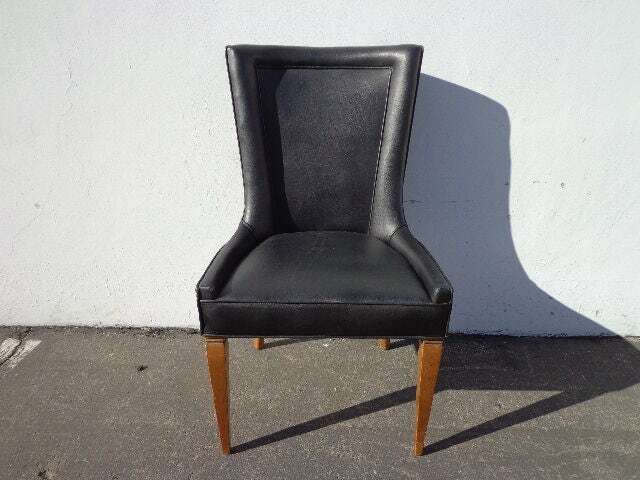 Wonderful Vintage Mid Century Modern Chair. 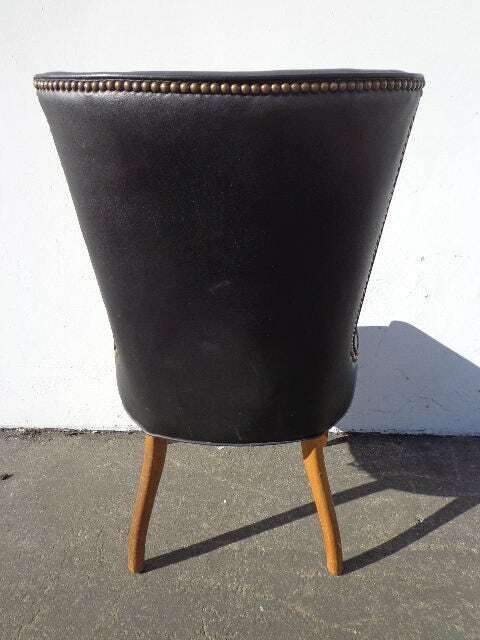 Mid Century / retro inspired piece that will blend with so many different decors. 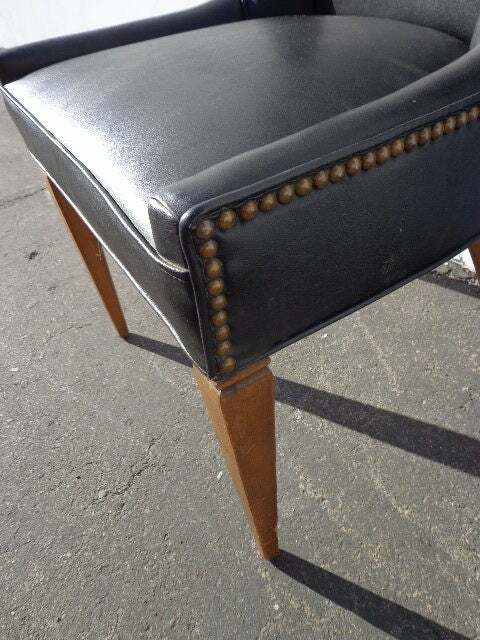 Features a black vinyl covered seat cushion and classic nailhead trim. 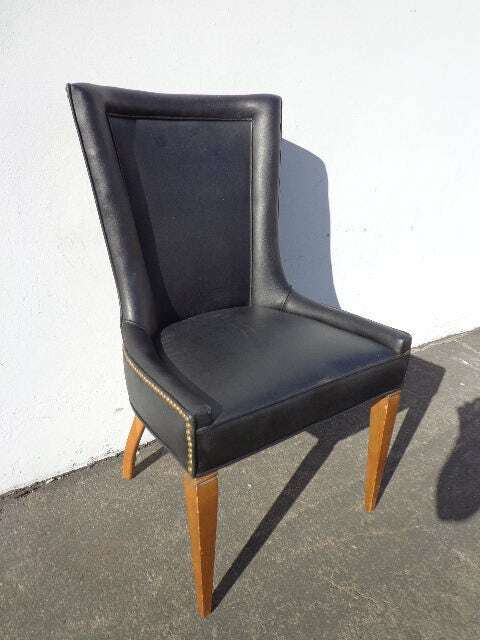 This accent chair is perfect for any mid century interior and many other decors. 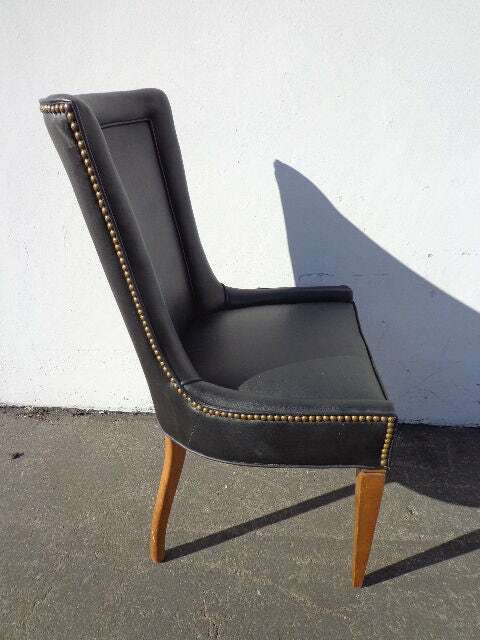 Perfect for any space, as an accent chair, entry way, vanity chair, desk chair etc. Overall good vintage condition, the frame is solid and sturdy. Shows surface wear.